I ABSOLUTELY LOOOVE THIS TREND!! Not only is perfect for the summer weather.. but its quick and simple to do.. and will leave you with that ‘straight of the catwalk’ look!! below is a video tutorial I liked which shows you how to get this look.. 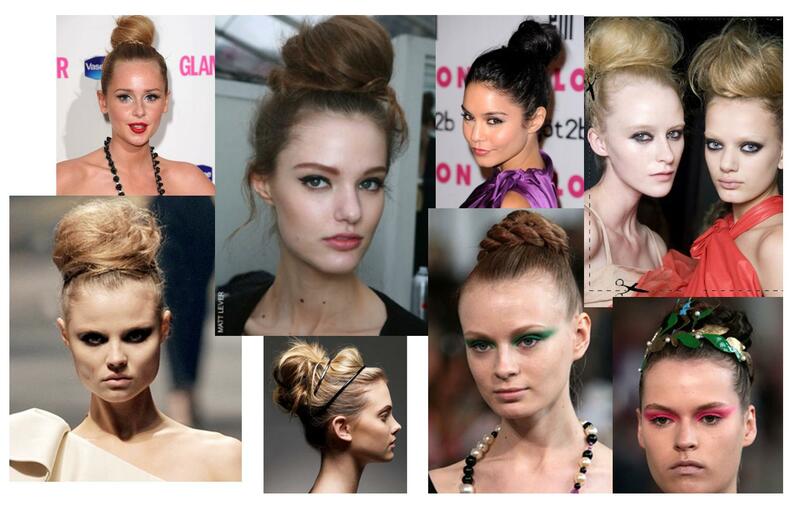 Celebrities are natural trend makers. We follow our favorite stars and try to do what they do. If this is too much for you, you can purchase a pack of tiny oil absorbing tissues to keep in your purse. I recommend the Beauty Blotters® Oil-Absorbing Tissues because you get 75 in a pack, it’s small, it does exactly what it’s made to do. With a pack always handy in your purse, you won’t have to use a toilet seat cover on your face. How to get the perfect pout! No great look is complete without a perfect pout! …It’s very easy to achieve. 1. Exfoliate your lips at least once a week to remove any dead skin. Peeling dead skin tends to leave cuts in this delicate area of skin. 2. After exfoliating, treat the lips with a moisturizing lip balm. 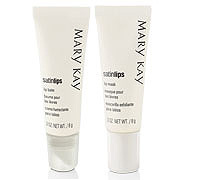 The (Satin Lips Set) is a great exfoliating and lip moisturizing combination. a matte base that will help your lip color last. the shade towards both corners. Apply from one corner to the next on the bottom lip. center of the lips for a luminous look. 1. Lighter shade colors are used for making lips seem fuller. 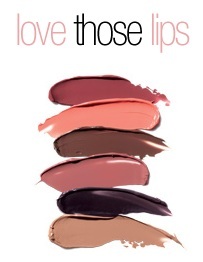 and darker shades are used to make lips seem smaller. and make sure you keep your eyes out for next Tuesday tips!! “It is believed that the eyes are the windows to the soul. Eye colors can be flirty, fun, or business minded. 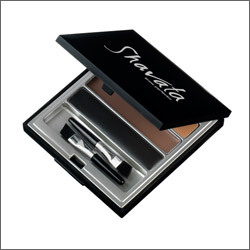 Whatever look you desire, there are specific colors that can bring out the very best in your natural eye color. Your natural eye color is a great factor that should be considered when choosing eye makeup shades. Regardless of your eye color, it is important to start with the lightest shade and work your way down with the darkest. and the darkest shade should be applied towards your lash line. Brow bone and crease shades can be natural but colors used on your lower eyelid are most important. Brown eyes stand out with purple, blue, and gray tones. To add drama to your look, a navy eyeliner would make your beautiful browns stand out. Blue eyes look great with warm brown and bronze shades. The orange undertones of these shades bring out the sparkle in your eyes. A bronze eyeliner is a perfect accessory. Green Eyes radiate with purple and taupe shades. An amethyst eyeliner gives you extra allure. Hazel eyes pop with dark green and lavender shades. Shades with slight yellow undertones are best for bringing out the best in your eye color. Start with these shades and explore with more colors for your own custom look. As you all know.. I am a HUUUUGE fan of Rihanna, She is one of my FAVOURITE style icons… And I feel I’m right to say we are all loving her ever-changing hairdo’s!! *grin*. She looked absolutely gorgeous last weekend on X factor in her thigh high split Maxi dress and her gorgeous curl bob framed her face amazingly! So.. I researched a quick and ‘easy’ way to GET HER GORGE’ HAIR!! But then.. for those of us who find it easier following something visual I found this GREAT tutorial on Youtube which ‘funnily’ enough gives a step by step guide for a *whispers* Beyoncé Inspired hairstyle *covers face*, at the end of the day.. you still get the GORGEOUS look! HORAY! A FULL ENGLISH BREAKFAST.. Chef Skill level: Easy peasy, lemon squeezy! Here are the basic Ingredients you will need for this dish.. why not use special supermarket products i.e. weightwatcher bacon to make this dish even healthier! 1. Pre-heat the grill to the highest setting. Half-fill a wide, shallow pan with water and bring to a simmer. Line a large (or two small) baking sheet(s) with foil, then brush over with a little olive oil. 2. Trim the mushrooms, removing their stalks, then lay, cap side down, on the baking sheet. Place the vine tomatoes alongside. Drizzle over a little olive oil and sprinkle with a pinch each of salt and pepper. Lay the bacon rashers in a single layer on the baking sheet (the second one if using two). Place under the grill for 5 minutes until the mushrooms are tender and the bacon is golden brown around the edges. 3. To poach the eggs, break each one into a cup or ramekin. Add a dash of vinegar to the pan of simmering water. Whisk the water in a circular motion to create a whirlpool effect. Gently slide the eggs into the centre of the whirlpool, one at a time, then reduce the heat to a low simmer. Poach for 1 1/2 minutes if the eggs were at room temperature, or 2 minutes if they were straight from the fridge. The whites will have set but the yolks should still be runny in the middle. 4. Divide the bacon, mushrooms, tomatoes and rye toasts between warm serving plates. Carefully lift out each poached egg with a slotted spoon, dab the bottom of the spoon with kitchen paper to absorb any excess water and slide onto a rye toast. Grind some pepper over the eggs and serve at once. AND THAT’S IT!!.. 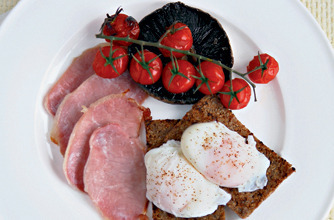 THE PERFECT HEATHY FULL ENGLISH BREAKFAST!! You REALLY can not go wrong when it comes to Barry M nail Varnish… They offer all the colours of the rainbow and MORE!! My attempt to fit all of them into one picture would result in an EPIC fail *covers Face*.. I took a selection of some of my favourite shades that I would LOVE as a gift.. ahem..
Get one of this seasons hottest looks ‘power brows’ with ‘M.A.C. Cosmetics’ make up artist Gina Bettelli. The first time I saw one of Shavata’s concessions was in my current work place House Of Fraser. “Shavata has worked in the beauty industry for over 20 years and has now launched Shavata brow studios and Lash Lounges across the UK. She has become a leader in her field and has forged a reputation as THE leading authority on eyebrows. No one shapes and grooms brows in quite the same way. 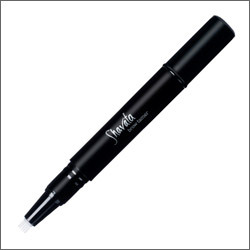 THANK GOD.. Shavata has answered our prayers.. we all see eyebrows on celebs or in the magazines and say “I want those brows..” and Shavata offers a ready-made stencil so you can EASILY change the shape of your brows to suit your face and get that hot celeb look!! ‘The stencil kit (£12.50) helps you to create the perfect arch every time by either by filling in or tweezing. The kit includes 4 different eyebrow shapes (with 3 pairs of each style) as well as a double-ended (light and dark) pencil. 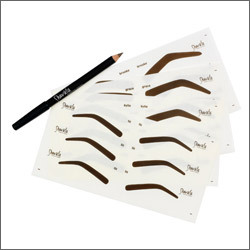 By simply shading and or tweezing using the eyebrow stencil, you can create the perfect brows.’ HOW EASY IS THAT!! So after you have your desired shape… you need something than can maintain them and tame those devilish fly-away hairs! ‘ The eyebrow mascara clear gel ‘click pen’ tube (£14.50), tames unruly eyebrows and gives a manicured look, great for in between appointments’. So you have your beautifully shaped brow’s all in place… now its time to glam them up for daywear or nightwear. ‘The three eyebrow creme shadows (£19.50) in a sleek mirrored compact that can be used individually or together to create the perfect shade when enhancing your brows. What i particularly like about this kit is that people who don’t like to wear a lot of make up can easily use this palette to just brighten the eyes. In three easy steps , you can look 13 again lol..